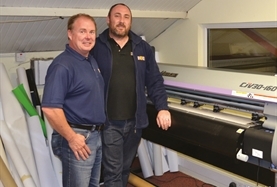 About Dennis D. Evans & Co. Ltd.
DDE has been supplying the sign and graphics industry throughout Ireland for over 30 years. 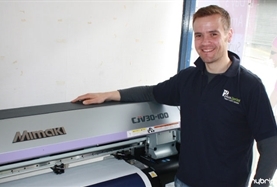 In that time we have prided ourselves in sourcing top quality products from cutting edge companies, such as Spandex UK, Gerber Technology, Metamark, Hybrid Services (Mimaki) and Epson to name a few. From our 15,000 sq. ft. conveniently located office, showroom and warehouse facility we offer a wide range of signmaking consumable products featuring coloured cutting vinyl , digital and speciality media together with application tools and accessories, as well as a trade service for manufactured sign systems. Many of our customers take advantage of our next day delivery service, some simply visit and collect giving them an opportunity at the same time to hear at first hand about new products and promotions. On display we have a range of equipment ready for demonstration. 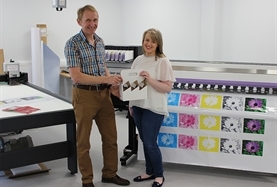 This includes Mimaki solvent and UV printers, Epson outdoor durable printers and vinyl cutters. Our aim is to make it easy for our customers to do business with us feeling confident we will deliver what we promise – quality products and competitive prices - on time !